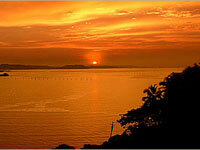 Goa is a land of pristine beauty. Tourists from all over the world visit the city to experience the tranquility of this place. Goa is undeniably the best holiday spot and tourist destination of India and it has in store for the touristâ��s world heritage architecture, beautiful locales, serene beaches and worship places. Besides, people wish to own homes in this seamless city. And, the main reason behind this being the relaxed environment of the city. Goa makes the best destination to reside after retirement as it is way from the usual hustle-bustle of city life and offers quality living. As Goa is a house of big five star properties, investors from all over the world are interested in investing money in the Real Estate Market In Goa. Be it residential property, commercial property or industrial; there is a substantial increase in the demand of property in Goa. The scenario especially of the lands & plots near Goa is quite different. Tourists look up for rentals near the beaches. Industrial and commercial property in Goa is doing well as many tourists coming up in Goa prefer staying in small hotels and motels only. Also, many developers and builders are coming up with promising Real Estate Projects in the near future. Moreover, many leading property dealers like Parsvnath, Araujo Home Makers, DLF, Acron, Sanatan Financers, etc. are entering the market of Goa. Real estate development in Goa is on a toll. Apart from this, there is an unlimited scope for the property market of Goa. Investment is incoming from everywhere, be it from developers, NRIâ��s, local masses; thereby, making the property rate in Goa increase further. So, if you are planning to buy property in Goa, Property Hub is the ne stop destination for all your needs.